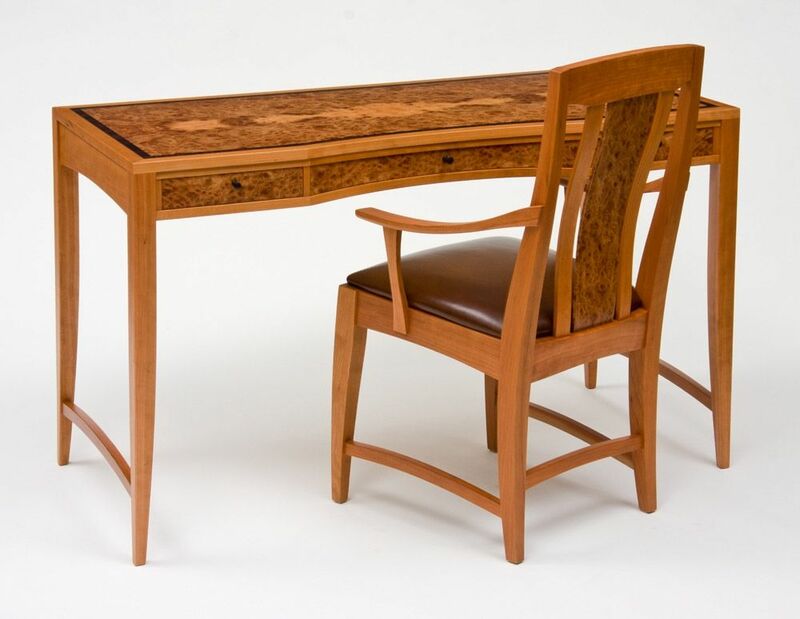 A delicate writing desk and arm chair in Cherry and Carpathian Elm Burl with subtle detailing in Ebony and Macassar Ebony. 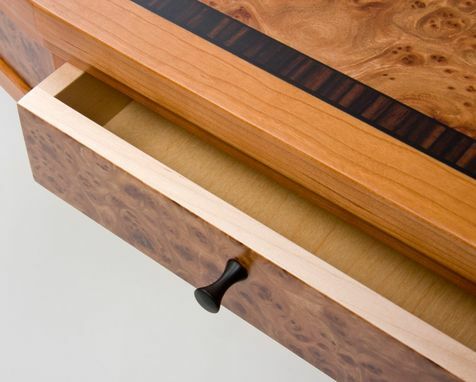 There are two small side drawers and one central curved drawer all with turned Ebony handles. 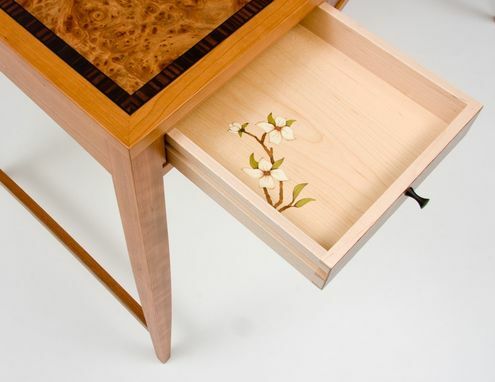 The left side drawer also has a bit of floral marquetry in the form of a couple Cherry Blossoms on a small branch. 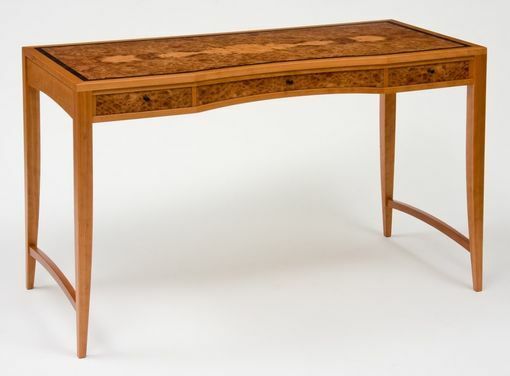 The drawers and interior are Maple and the desk is finish with a combination of Conversion Varnish and Lacquer. 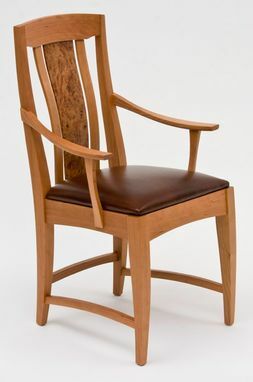 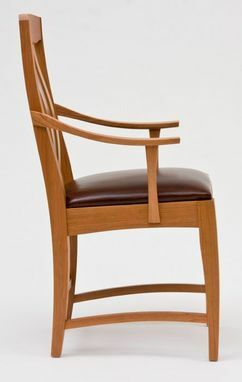 The chair seat is brown leather.